Describe how Desiderius Erasmus’ new Greek translations of the New Testament and key early Christian texts in 1516 inspired the future Reformation movement. How did his critique of established Catholic doctrine such as Purgatory and the veneration/perpetual virginity of Mary spur Church reform? Erasmus was an interesting biblical scholar. I’m a bit surprised I’ve never heard of him before. Perhaps it was due to his orientation or the mercenary nature that he seemed to write for influence and money instead of what we expect of principle. He created the occupation of best selling scholar. He had the talent to write so people could understand complicated scholarly work without having to attend university or advanced learning. His new translations of the Bible, particularly single words, had profound implications. I didn’t know that the theology of Purgatory was based on John the Baptist calling for penance. His translation of his call was actually for repentance that dealt a theological blow to the biblical evidence for Purgatory, along with his translation in the Old Testament of the “virgin” Mary. Overall his work did bring up the idea to debate Tradition versus Bible; truth not just because of the authority of the Bible, but the authority of the church. He seemed brilliant and although he seemed to want to break the monopoly of priests having secret special knowledge to themselves, he hated lazy uneducated priests and seemed to have little patience for the common unlearned man and felt there was still a need for the educated to interpret for the uneducated masses. Ironically his work did help the Reformation movement even though he leaned to preserving the Catholic Church. Perhaps he felt reforming a non-perfect institution was better than the chaos. Either that or he didn’t want to stay on everyone’s good graces and avoided committing to a side which for someone who was paid to write would have been costly. 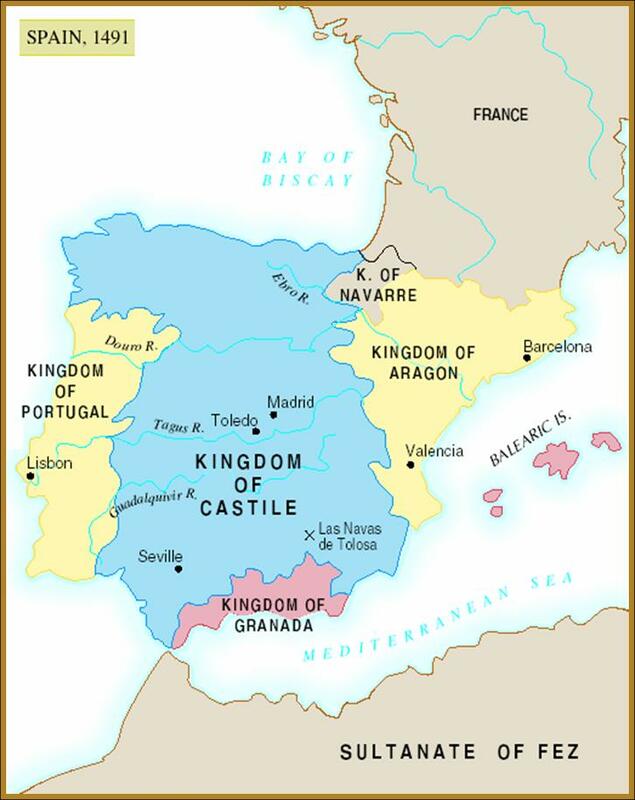 What was the effect of the reign of King Fernando (Ferdinand) and Queen Isabel (Isabella) when they reclaimed Spain from the Moors in 1492? By the late 1490’s, much of Christendom or what we now know as Europe was in a state of fear and anxiety as the Ottoman Turks pressed further inwards into the continent from Turkey while tensions between the Catholic and Orthodox Churches caused a tremendous geographical rift between Western and Eastern Europe. So when King Ferdinand and Queen Isabella managed to expel both the Muslims and Jews from the Iberian peninsula starting in 1492, much of Christian Europe celebrated since it was one of the rare victories for the church. At the same time, both Spanish and Portuguese explorers began setting out to explore and claim lands in the New World thus giving rise to overseas missionaries. Persistent warfare against the Muslims and Jews gave Spanish Catholicism a militant edge similar to what is seen in today’s extremist Islamic groups, which in turn lead to more intense devotional practice. From the perspective of a 21st century observer, it is difficult to fathom the brutality of the Spanish Inquisitors against their non-Christian brethren, but understand that at this point in time there was no concept of separation of church and state in Europe, and the Inquisition received much support from the Catholic population. Fear and suspicion of subgroup minority populations within a dominant population is certainly not unique to medieval Spain. What circumstances led to the expulsion of Jews from Spain during this time? Discuss the plight of conversos (converted Jews) and moriscos (converted Muslims). Also write about the expulsion of Muslims as well. The forced expulsion, mass conversion, and execution of Spain’s Jewish population most likely indicated that there already existed a widespread suspicion and hostility in Iberian Christian culture towards them long before King Ferdinand and Queen Isabella came to the throne. Even Jewish converts to Christianity experienced much prejudice due to suspicions of doubtful loyalty and “the existing tendency in Spanish society to regard heresy and deviation as hereditary.”(Page 588) Additionally, Jewish converts or conversos, posed as rival threats to traditional Spanish Christians for coveted positions of power in the Church. Again here you see another example of how money and power can easily corrupt religious institutions. Likewise, Spanish Muslims experienced similar mistreatment by the inquisitors and their persecution also drew much support from the general populace. As a general rule of human nature, whenever a nation or society feels threatened by internal or external forces, pre-existing paranoid suspicion of rival cultures and/or religious groups can often metastasize to persecution. You see this occur in almost every human civilization throughout history and sadly you see it occurring even today. The topic of Jewish anti-Semitism (JSA) comes up over and over in history. (Note: I say Jewish because I believe that the Arabs and other people also qualify as Semitic.) MacColluch spends a relatively good amount of time in section 3 of chapter 16 in Christianity writing about JAS in connection with Spain especially post 1492. But what is the history of JAS? Did it exist prior to 1492 Spain? How do we define it? What I found is that JAS is very complex and defies neat and easy explanation. – Racial in the Modern Era. In Greece JAS is a mixed bag. Aristotle speaks well of the Jews but in 170-67 BCE Epipanes issues an edict against the Jews. But the Jews were NOT alone. Greeks showed animosity against ALL ‘barbarians’. Their discrimination seems based on xenophobia. Remember, the Jews sought to segregate themselves from other nations. Discrimination is endemic to Jewish society. Jews refusal to accept Greek religious and social norms marked them out. Other nations may have been retaliating against Jewish practices. Much the same holds for the Roman Empire, however, the relationship between Rome and Jews started in animosity. Rome suppressed ALL foreign religions. Yet the Jews were given special status and treatment before their rebellion culminating in 70 CE. In the early Christian era, it may have been Jews persecuting Christians. Oddly, since ALL first Christians were Jews, it was Jew vs Jew discrimination. In the Middle Ages with events such as the Crusades, Black Death, etc…, Christian anti-Semitism came to the forefront. Yet even here it was complicated. For example, in 1348 Pope Clement 6 issued a Papal Bull protecting the Jews. So for the Spanish period discussed by MacColluch, after years of fighting and the very real possibility of Spain and even all of Europe being overrun by the Muslim Arabs, is it strange that a victorious Spain would view Jews with great suspicion and implement rules to control them? This was a time of great paranoia in Spain. The Jews had prospered under Muslim Spain. They did nothing to help Christians against the Moors. A friend of my enemy is an enemy of mine. Going beyond, all discrimination is economically and politically driven. Religious, cultural, social, ethnic and race concerns are used to drive a wedge between people but the real cause can always be traced back to money and power. My conclusion: there are many reasons for discrimination and oppression but there are NO excuses. 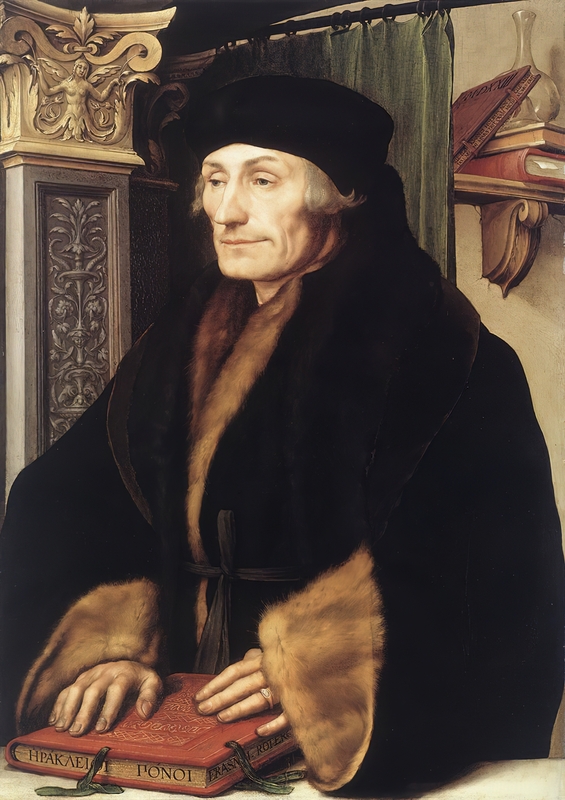 Desiderius Erasmus, during the 1500s, was one of the pivotal figures during Renaissance and one of the most prominent humanists of his era. He made a career being a “roving international man of letters who lived off the proceeds of his writings and money provided by admirers.” (loc. 11522) He is most well known for his Greek translation of the Latin Vulgate Bible which greatly influenced the Reformation movement, but in this chapter, I was intrigued by his preference of Origen’s theology over and against Augustinian theology. However, it is worth noting that Erasmus didn’t agree with everything Origen wrote about. For instance, he condemned Origen’s heavy use of Plato in his theology. Erasmus encapsulated the spirit of humanism that was prevalent during this time with his love of humane studies, such as the classical languages of Greek, Latin, and Hebrew, Plato, Cicero, and classical literature and philosophy. His main aim, like most humanists, was not to subvert the Church but to return her to her original sources: the Bible and the Early Church. Later on he would take a stand against Martin Luther’s criticisms towards the Catholic Church. (loc. 11685) He championed education and sound scholarship that was available for all lay persons for the purpose of cultural and moral renewal. He was not afraid of challenging centuries long established traditions, doctrines, and authorities. Erasmus’ pro-Origen theology could have profoundly changed the course of Western Christianity in the early sixteenth century had it been adopted by those who wanted to reform the Church. However, that would not be the case as both mainstream Protestantism and Catholics rejected his views (loc. 11669), although, certain radicals were inspired by them. If his more positive theological anthropology had been adopted or had become more dominant, it would have affected the way we looked at human nature, theology, and the reading of the Bible- particularly how we understand sin (the ‘Fall’ did not affect or diminish human reasoning), our notions of special or divine revelation, and the divinity of Christ and the Trinity (both lacking biblical support in his eyes).